Woori Financial Group, which began operating under a holding company structure from January, is stepping up its push to expand its nonbanking business by actively pursuing mergers and acquisitions. Woori Bank officially adopted a holding company structure on Jan. 14, with Chairman Sohn Tae-seung pledging initial focus on acquiring small asset management firms, real estate investment trusts and savings banks. The banking group plans to pursue larger M&A opportunities -- of securities and life insurance companies -- in the future, as it is obliged to maintain a set capital adequacy ratio and so has limits on capital usage for now. With well-chosen acquisitions, Woori Financial Group’s goal is to bring its banking-to-nonbanking business ratio to 7:3 and eventually to 6:4, enabling Woori to diversify its profits beyond traditional banking services, according to the chairman. Marking the first move in this direction, Woori recently joined the preliminary bidding process for HI Asset Management, going up against Kiwoom Securities and a number of private equity funds from South Korea and abroad that have also joined in the bidding. In addition, Woori is in a bidding war against Daishin Securities to acquire Tongyang Asset Management and ABL Global Asset Management, both owned by China’s Anbang Insurance Group. The combined price for the two firms is said to be around 200 billion won ($177 million). The banking group is also said to be in the process of reviewing Kukje Asset Trust as an acquisition candidate. Moreover, Woori has the option of exercising its right of first refusal to buy more shares in Aju Capital and acquire its wholly owned subsidiary Aju Savings Bank. Steering Woori Financial’s expansion is Chairman Sohn, who continues to serve as chairman of Woori Bank. He has pledged to raise Woori’s competitiveness and industry status in the years ahead. “By taking on a holding company structure, we are now in a position to compete head-to-head with Korea’s major banking groups. With active business portfolio realignment and global business expansion, Woori will become Korea’s top banking group and a global finance powerhouse,” Sohn said. Reflecting major changes sweeping Woori Financial, the company has streamlined its structure to focus on its M&A push, placing top-level executives in charge of the management and finance planning unit, the strategy business unit, the finance management unit and the investor relations unit. Heading Woori’s management and finance planning unit is Chief Financial Officer Park Kyung-hoon, an expert in M&As with experience at both Woori Bank and the holding company. Chief Strategy Officer Lee Seok-tae has been tapped to lead the business strategy unit. Park is said to have taken charge of Woori’s broad funding and finance affairs necessary for M&As, while Lee is responsible for reviewing the profitability and business outlook of various acquisition candidates. Lee, also a senior general manager at the future strategy department of Woori Bank, is perceived to be a fitting candidate for this role, as he has been working on business portfolio diversification from the time Woori first embarked on procedures to transition to a holding company structure. Prior to the recent transition, Woori Bank had been Korea’s only commercial bank without a holding company structure -- a status that posed limits to its investment activities and business potential. With the launch of Woori Financial, Korea’s finance and banking segment now has five major financial holding companies -- KB, Shinhan, Woori, Hana and Nonghyup -- competing for profits and customers. Woori started off as Korea’s first-ever banking group in 2001, comprising multiple banks that went under in the aftermath of the 1997 Asian financial crisis. It was wholly owned by the state-owned Korea Deposit Insurance Corp. In the years that followed, the government set out to privatize Woori Financial Group through sell-offs of its nonbanking business units, including provincial banks and securities companies, in 2013. In the process of privatization, Woori Financial Holdings was absorbed by Woori Bank in 2014, removing the holding company structure. After repeated attempts to transition back to a holding company structure, Woori Bank obtained regulatory approval from the Financial Services Commission in November 2018 to pursue the structural change. 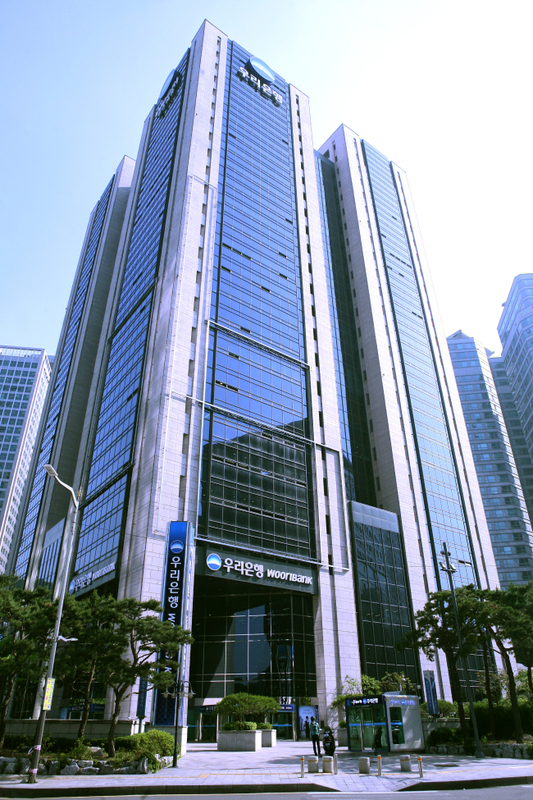 Korea Deposit Insurance Corp. still owns an 18.4 percent stake in Woori Bank. But this stake will be sold off as soon as possible to ensure the full privatization of the banking group, according to the Financial Services Commission.